The use of a computer to aid drawing and design brings a wide range of benefits. Let’s take a closer look. Early versions of CAD (Computer Aided Design) have been around since the 1960s and have helped it to become a valuable tool for engineers and designers among many others. CAD conversion really took off because the world is becoming less reliant on paper and constantly searching for better and more efficient ways of completing tasks. With CAD converted drawings, you can edit them as you please without the need to manually erase what you have previously drawn. This also gives you more of a chance to experiment with drawings to be able to see how they will look without destroying the original design. As a result, the process of CAD conversion opens up design possibilities for both new and old designs. CAD files can be accessed from anywhere through a shared network, online cloud platform or portable storage device giving you complete freedom as to where and how you manage your drawings and files. By storing your drawings digitally you shrink the storage size to just a small portion of a computer hard drive. This reduction will also free up the space you usually store the large hard copy drawings in to be used more efficiently. If the original documents are usually stored in off-site, outsourced storage facilities, you can also save a great deal of storage costs from the beginning of your transition to digital drawing management. 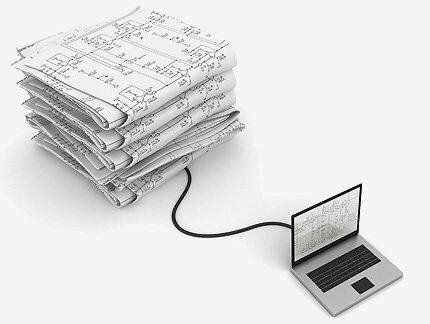 Once your drawings have been scanned, converted and fully indexed using Optical Character Recognition, they will be easy to find through simple keyword searches as and when you need them. This is a much simpler process than wasting time searching through drawings stored in hard copy especially if you find that the document you are looking for has been misfiled or even lost. 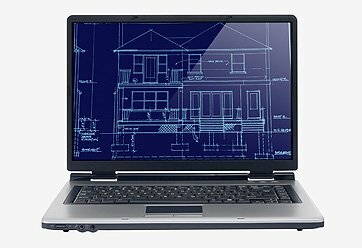 Here at Pearl Scan, we want to help people get the most out of their designs so we offer an excellent CAD drafting and conversion service which brings all of the above benefits and more. We handle the entire process from the collection of your documents and conversion to indexing, quality checks and delivery of your digital files. If you would like some more information about the CAD scanning services we offer, get in touch today or complete our online form to request a quote for your scanning project by following the relevant links below. We provide CAD drafting service London, CAD drafting service Manchester and CAD drafting for the rest of the UK.